Reaching the peak of Mt. Tam is an achievement for any biker, road or mountain. 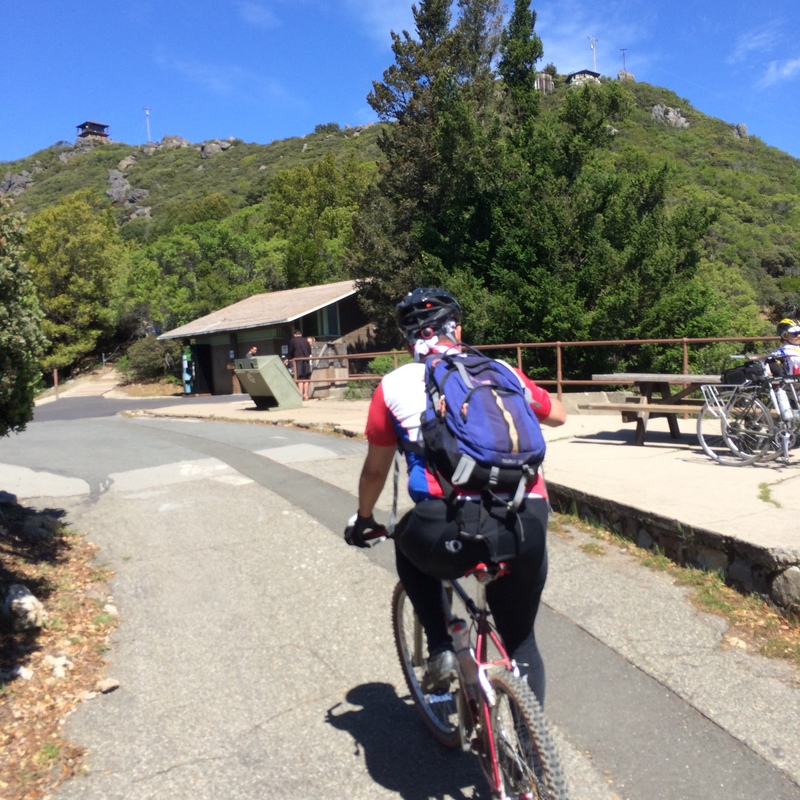 The second part of the ride from West Point Inn to East Peak is relatively tame, but worth the additional time for the wonderful views and sense of accomplishment. 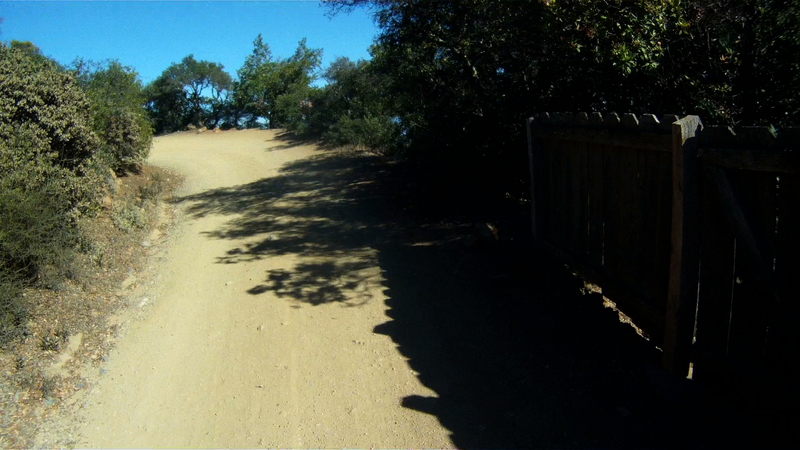 Difficulty: The second part of the climb is very tame with an optional steep grade at the entrace to the parking lot at the East Peak. From the West Point Inn, continue climbing and go toward the right past the interstection with Old Stage Road. The climbing continues for just under two miles. The trail ends at the “saddle” of Mt. Tam. The “saddle” is the dip between the Middle Peak and East Peak. 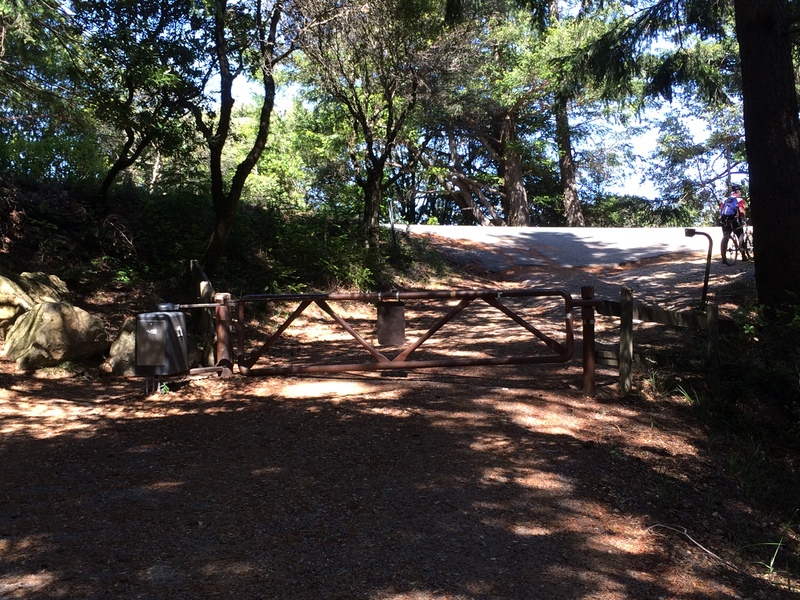 The top of the trail is marked by a gate. Past the gate is East Ridgecrest Drive. From the gate, make a right and onto the road. 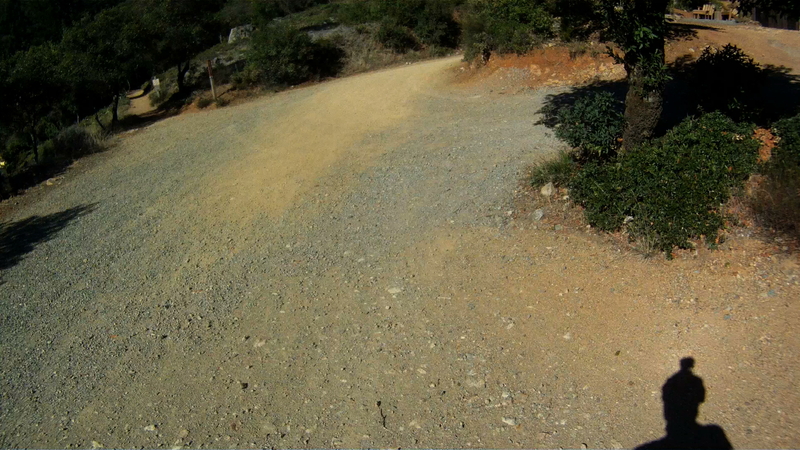 Follow the road another hundred feet and your big decision of the day presents itself. 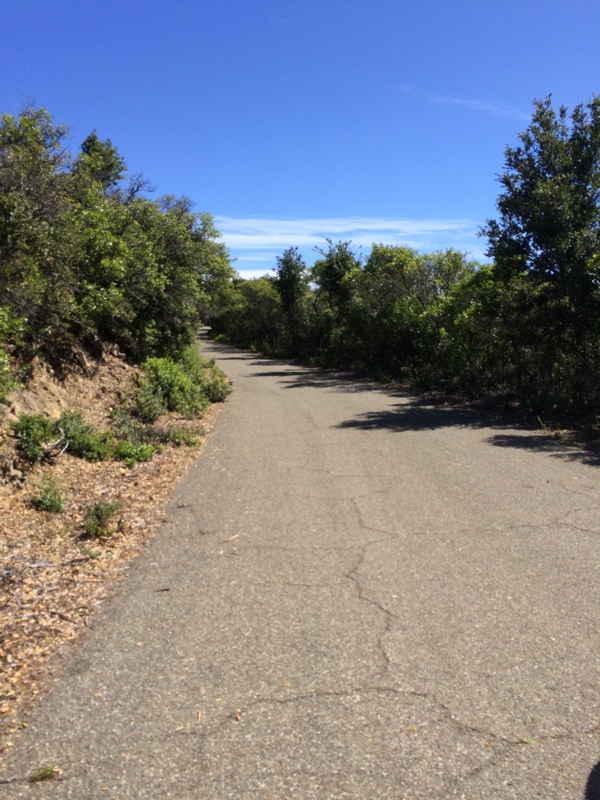 There is a bike and pedestrian walking path on your right and the road to the parking lot straight ahead and the entrance to Eldridge Grade Trail to your left. 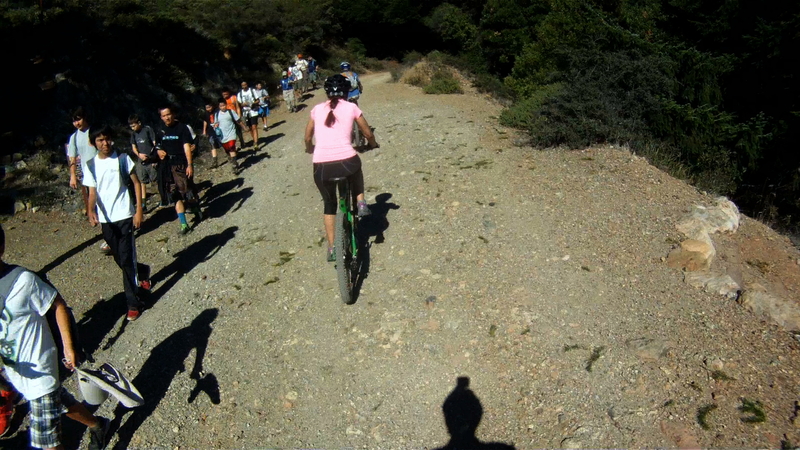 Eldridge Grade Trial will take you down the backside of Mt. Tam toward Ross and Fairfax. 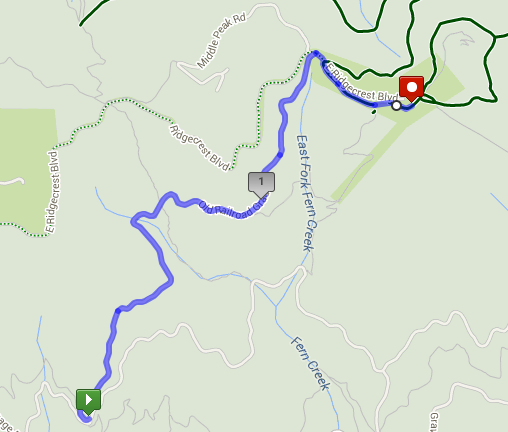 Following East Ridgecrest you will encounter a short, 18% climb leads directly to the parking lot and panoramic views all around. Taking the path winds you below the parking lot directly to the picnic table and bathrooms. It’s a much easier way to reach the top and just a quarter mile long. 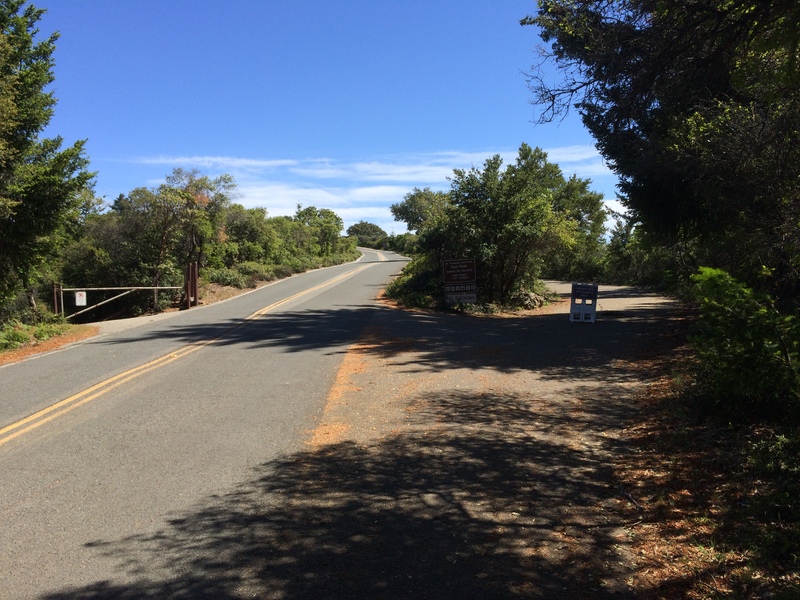 To your left, just past the picnic benches is a short path that leads you up to the parking lot, which have sweeping views of the Bay Area. 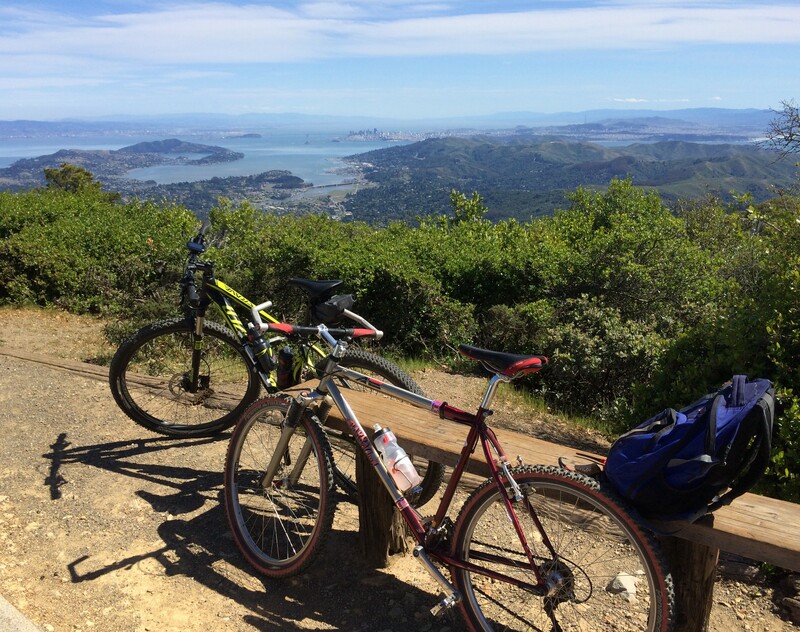 At this point you’ve reached one of the pinnacle climbs in the Bay Area. 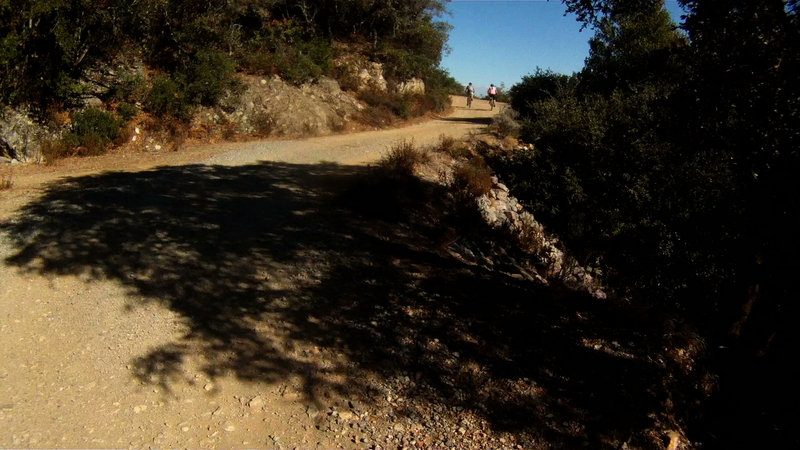 Enjoy the view and get ready for the 8.5 mile descent just ahead of you. 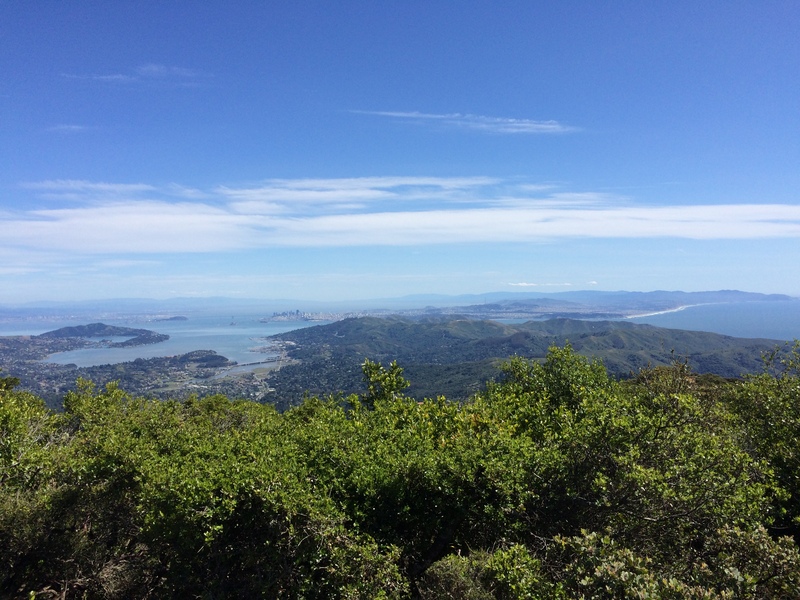 This entry was posted in Marin County Trails, Trails and tagged biking, climb, East Peak, Eldridge Grade, mount tamalpias, mountain, mountain biking, mt. 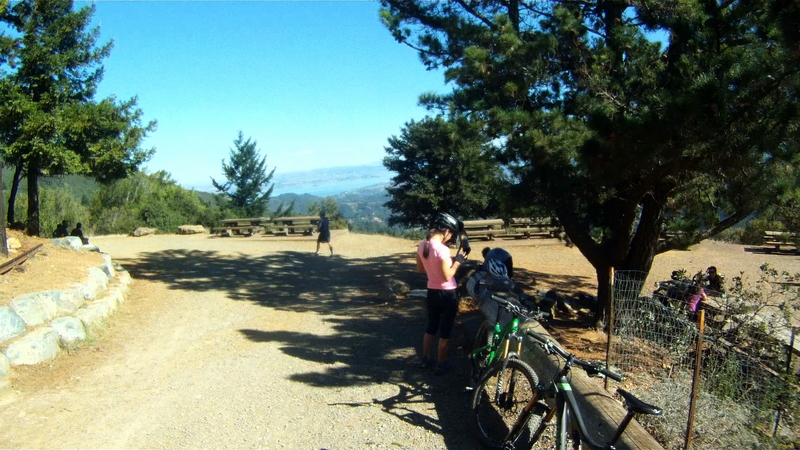 tam, mtb, Old Railroad Grade, panoramic, trail, view, West Point Inn by weliketobike. Bookmark the permalink. Hi there, once I get to top of Mt. Tam, is the best way to go back the same way or does it loop? 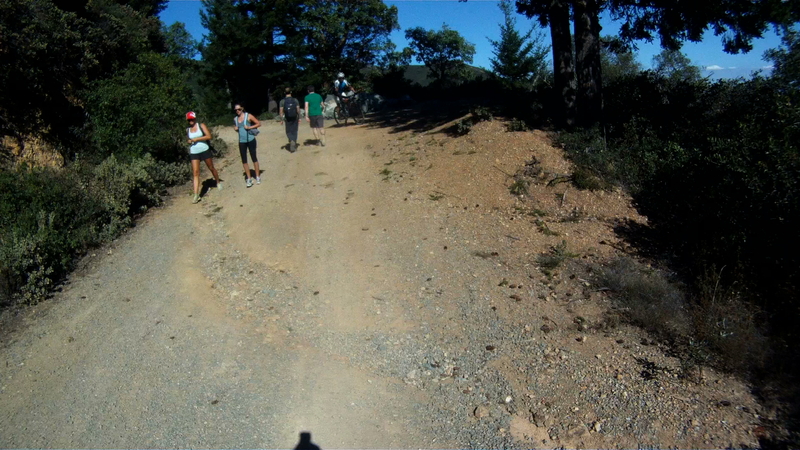 You have three options for going back down, you can either go back down the same dirt trail, head down the paved roads (East Ridgecrest to Pan Toll to Panoramic, see Mt Tam road ride for more info), or connect over to Eldridge Grade which will take you to Phoenix Lake near Ross. 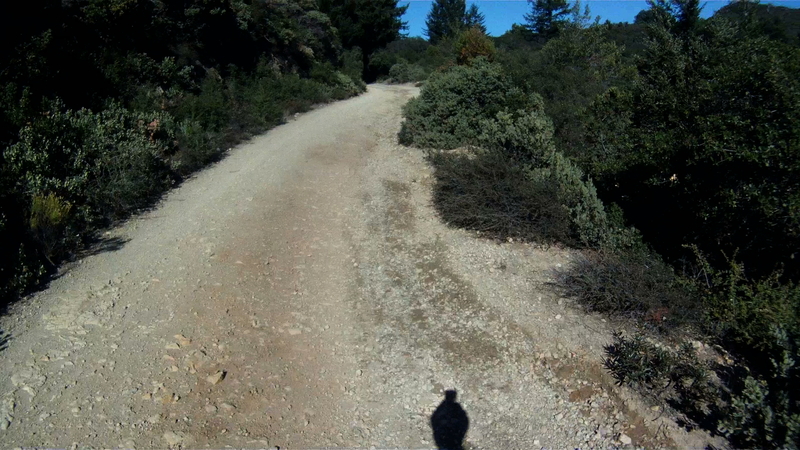 We always go back on the Old Railroad Grade path.